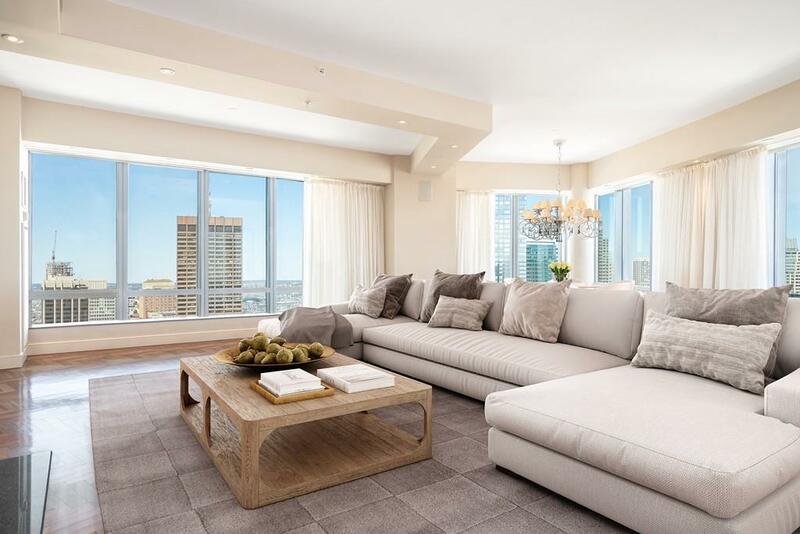 Corner Penthouse at the Ritz Carlton w/ panoramic Boston views. 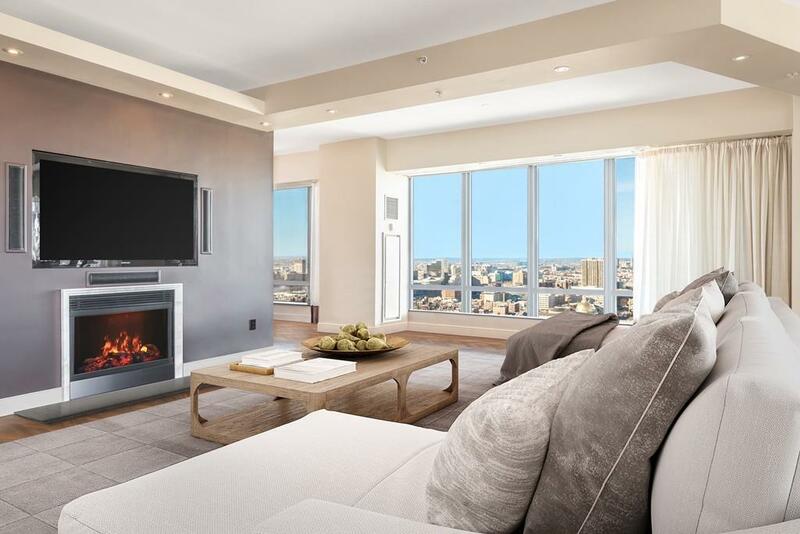 Only 1 of 2 units on the 37th floor, this sprawling floorplan has nearly 3,000 sq/ft & features views from Beacon Hill to the Harbor Islands. 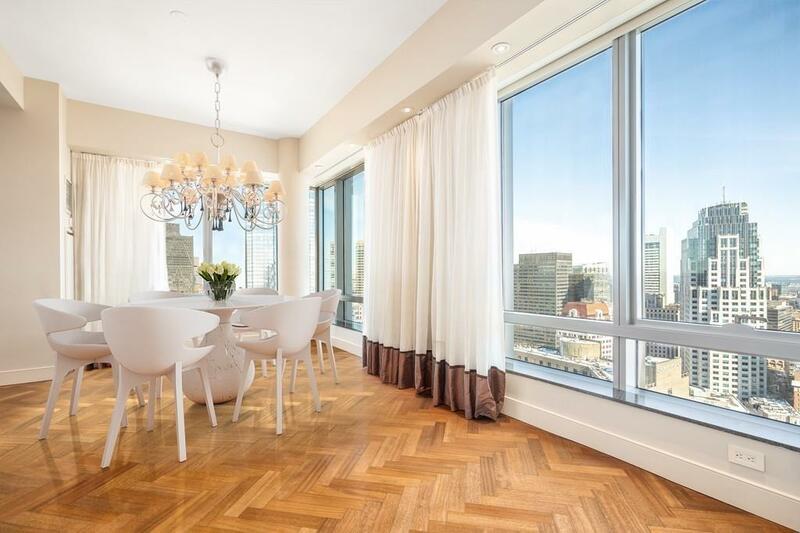 Gracious foyer w/ marble tiled floor leads to 1,000 sq/ft of living/dining space w/ 10' ceilings, gas fireplace, Brazilian cherry floors & views overlooking Boston Harbor, Financial District & Statehouse. Open kitchen w/ breakfast room & views of Boston Common, Back Bay & Charles River. Large master suite features 2 bathrooms, plenty of custom closets & private balcony w/ views from Boston Harbor to the South End. 2nd bedroom w/ custom built-ins, closets & en-suite bath. Guest bedroom also features en-suite bath. 2 valet parking included. Doorman, Concierge, Equinox Sports Club & all the services of the 5 star Ritz Carlton Hotel, including fine dining at Artisan Bistro & Avery Bar. 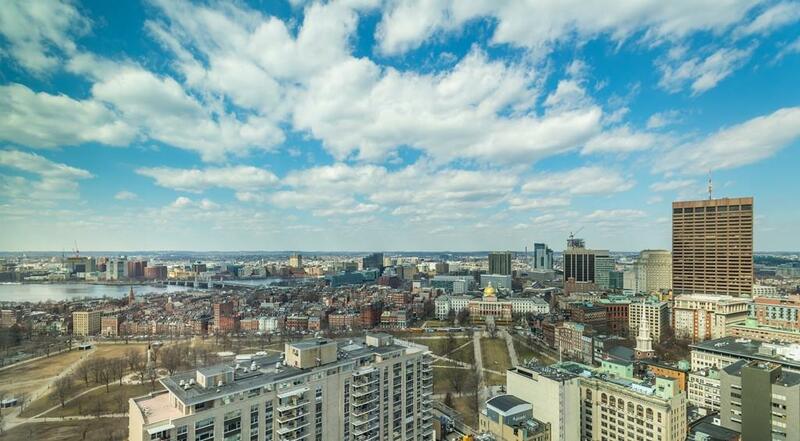 Located in Midtown, one of Boston's fastest growing & most exciting neighborhoods.